Title : Marvel's Iron Man - I Am Iron Man! This was my first foray into comic books. I can say that I enjoyed this collection of comics, particularly the new Coulson story, but I can't imagine enjoying the first part (the majority) if I wasn't already familiar with the movie. It is such a cursory presentation of the Iron Man movie story that it really doesn't stand alone, but was still interesting as a companion comic. Interestingly, I found I enjoyed the Marvel Cinematic Universe stories far more than the reprinted comic about Iron Monger at the end. 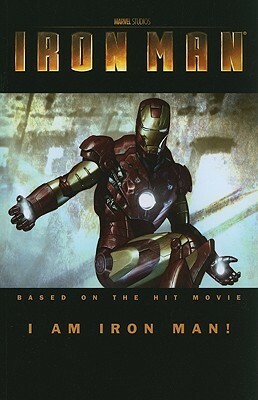 I am a great fan of Iron Man but this book was quite disappointing. Converted in a graphic novel with many important points missing. I have observed this happening in movies adapted from novels. The book does give you the idea about the plot for Iron Man movie but it still lack to get your attention The story is interesting for those who have not seen the movie but I don't think there would be any such person. El siempre efectivo guionista Peter David traspasa a viñetas la acción del éxito cinematográfico de forma entretenida. Buen gancho para los que (re)descubrieron al personaje en la pantalla grande. Not a very good comic adaptation of the movie. Peter David Sean Chen - aka David PetersPeter Allen David (often abbreviated PAD) is an American writer, best known for his work in comic books and Star Trek novels. David often jokingly describes his occupation as "Writer of Stuff". David is noted for his prolific writing, characterized by its mingling of real world issues with humor and references to popular culture. He also uses metafiction frequently, usually to humorous effect, as in his work on the comic book Young Justice.